Reposts, blogs and research that I found interesting and hope that you might too. I have has so many questions about my website and comments on the quality of it. I would like to answer these questions in bulk because otherwise I would be putting similiar answers on many posts. 1. I am using a simple WordPress program. 2. I use the “Reddle” theme. 3. I think it cost me about $40.00 to get a .com address rather than a @wordpress.com account and it is a yearly cost. 4. The set up is extremely easy to use and I can write my articles in Word and then copy and paste them onto my post. 5. There is a lot of online help with WordPress from volunteers as well as from staff. 6. I write my own articles from scratch. I research a topic that interests me and if I find some good information I to share it. Thank you everyone for your interest and comments. If I can run a website I think most people can. It is easy and fun and many people earn good money by selling and affiliations. I have not started to earn money on it yet but I have started to earn some appreciation and respect. To me that is equally important. If the information I share can help somebody else I have already achieved what I set out to do. It used to be that if you told someone you were an organic gardener – they looked at you as though you had to be some sort of crazed hippie, separated from the rest of the “normal” world. 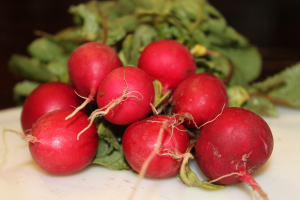 Thankfully, organic gardening has now become all the rage! In fact, millions of regular, every day backyard organic gardeners across the globe are growing their own food without the use of dangerous chemicals and sprays – and finding out that organic gardening is not only the “healthy” option – but far less expensive than using all of those costly fertilizers, sprays and more! 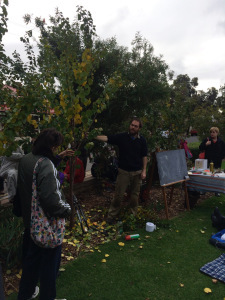 Sustainable Communities SA Unley groups ran a pruning workshop on 21 June 2014. Over 70 people came to hear Steven Hoepfner describe how to prune fruit and nut trees to achieve long-term productivity. Many questions and lots of interest! We are also running a follow-up pruning workshop on 5 July 2014 for those who couldn’t make it to the first one and to answer some of the more detailed questions. I have been thinking lately of “Fast Food”. No one wBpnts to spend hours in the kitchen after a busy day out. I am, by no means, a saint. I spent must of today out and my husband was working late. Here is what I did to make a quick and easy meal! I set my Ipad up in the kitchen with a classic Iview Who Dunnit? To keep me entertained. I set two of the birds up for company and to give them fresh food! I cut up a frozen onion and put that in the wok to fry while I cut off some frozen turmeric and ginger. Then I threw in some lemon grass powder, chopped up some chili and capsicum and put all that on to cook with a little Himalayan salt. I put in cut up broccoli (including stalks) and unpeeled thinly sliced carrot. While that was cooking I chopped up some spinach, kale and rocket from yesterday’s big discount find at the green grocers. I just put all the greens on top, splashed on some vegetarian stir fry sauce and put a plate over it. I turned the gas off and poured a glass of wine – Mmm. When my husband got home we fried hokkien noodles in sesame oil and leeks. Tossed it together and wow. Some where in the mix my Husband, who us not a vegetarian yet, cooked a piece of steak – Grrrr. The meal probably took an hour to cook because I was watching an episode at the sample time. TENS stands for transcutaneous electrical nerve stimulation. Which basically means that it is electrical nerve stimulation applied to the skin. My kids bought me a “revitive”, which is a machine that has a foot base with placements for the feet. These have separate electrodes just for the feet and a separate setting. Then there are two places to add plug ins for TENS pads . I can use other attachments as well and I have glove attachments for my hands. I also have a small portable tens machine that is rechargeable. I take it with me when I go away. The portable T.E.N.S machine has a lot of functions such as massage, cupping, acupressure, stroking – each with a changeable strength. There is a reason I am telling you about this! I have been using my portable one since I strained my back recently – that, along with DMSO helped me considerably.